Plymothian Transit: Things that make you go Mmmmm…. Things that make you go Mmmmm…. Saw 101 today - Still like that... Hmmmmm! I think they need to switch the front panels around! If you look closely enough at No.1 it use to be a 4. Why have they done that? Can't see a logical reason for it. I'm afraid I don't think these 'N-reg' SLF Darts have much life left in them really. I got on one on Tuesday (I think it was N107 UTT), and it definitely sounded rough and loud. 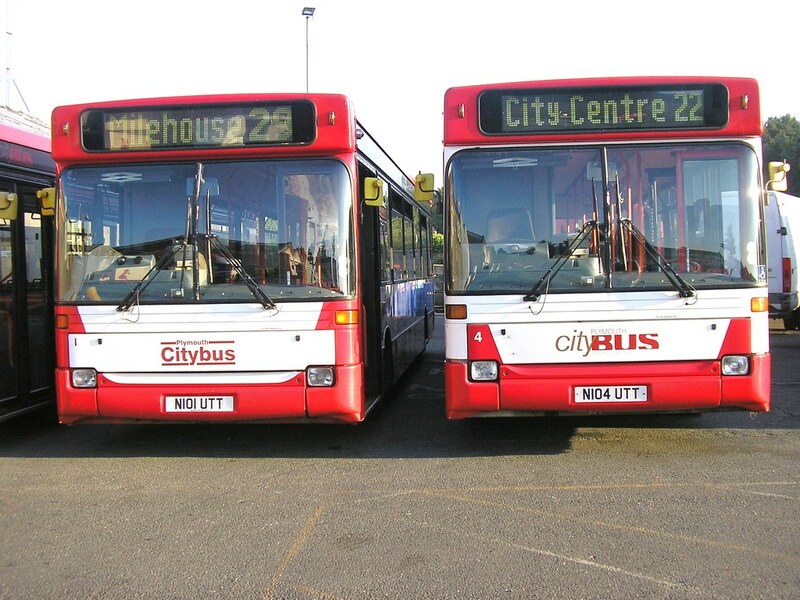 I would be surprised if they're still with Citybus after December 2012.